Gradwell Phone is a mobile application that makes setting up a VoIP extension on your mobile phone simple. There is no need to enter advanced configuration info. The application can be downloaded from either the Google Play Store or Apple's iTunes store. If you're on your device, simply search for Gradwell to find the application. 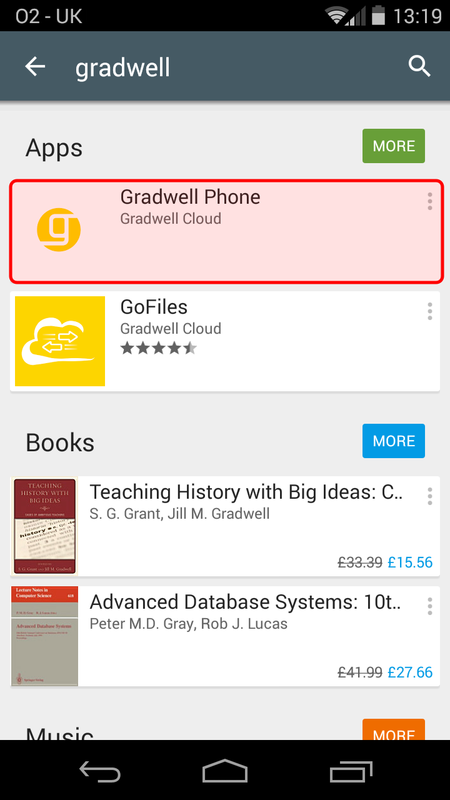 For example, below we have searched for "Gradwell" in the Play Store.